FitzGerald, David Scott. 2019. 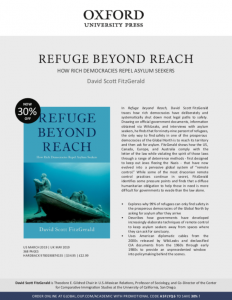 Refuge Beyond Reach: How Rich Democracies Repel Asylum Seekers. Oxford University Press. humanitarian obligation to help those in need is more difficult for governments to evade than the law alone. McVeigh, Rory and Kevin Estep. 2019. 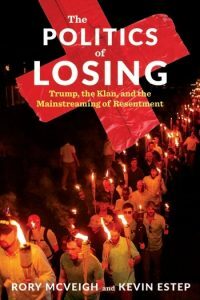 The Politics of Losing: Trump, the Klan, and the Mainstreaming of Resentment. New York: Columbia University Press. Greenberg, Max A. 2019. Twelve Weeks to Change a Life: At-Risk Youth in a Fractured State. University of California Press. Hailed as a means to transform cultural norms, interpersonal violence prevention programs have reached nearly two-thirds of high school students in the United States today. 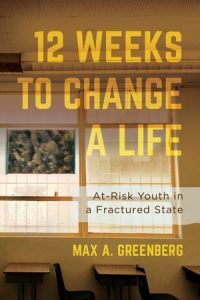 Twelve Weeks to Change a Life: At Risk Youth in a Fractured State explores the consequences of this slow-rolling policy revolution for the young people marked for intervention. Drawing on over three years of fieldwork in schools across Los Angeles, as well as historical research into shifting approaches to interpersonal violence, Greenberg examines the reorganization of social policy into a system of short-term grants and fleeting programs, which he refers to as the ephemeral state, and the way this system shapes the stories young people tell about themselves and the state. In addition, he show how statistical surveillance enables new ways to think about and act on harm, giving rise to the category of at-risk youth and in turn shaping the identities and relationships of young people and state actors alike. Levins, Rhonda F. 2019. When Race Race Meets Class: African Americans Coming of Age in a Small City. Routledge. 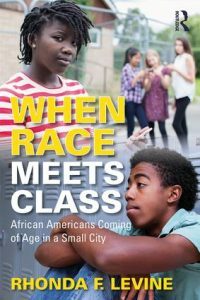 A rare, 15-year ethnography, this book follows the lives of individual, low-income African American youth from the beginning of high school into their early adult years. Levine shows how their interaction and experience with multiple institutions (family, school, community) and individuals (parents, friends, teachers, coaches, strangers) shape their hopes, fears, aspirations, and worldviews. The intersectionality of their social identities—how race, class, and gender come together to influence how they come to think about who they are—influences many behaviors that directly contradict their stated aspirations. Affected, too, by limited access to resources, these youths often take a path profoundly different from their stated values and life goals. Levine explores the volatility and constraints underlying their decision-making and behaviors. The book reveals the critical junctures and turning points shaping life trajectories, challenging many long-held assumptions about the persistence of racial inequality by offering new insights on the educational and occupational barriers facing young African Americans. Hochschild, Arlie Russell. 2016. Strangers in Their Own Land Anger and Mourning on the American Right. The New Press. 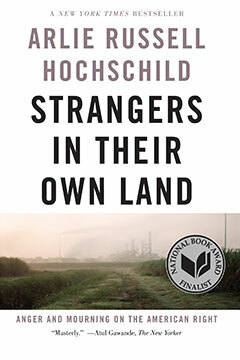 Hochschild travels deep into a stronghold of the conservative right: Louisiana bayou country—an area on the brink of environmental crisis and suffering from poor health, widespread poverty, and low literacy rates and life expectancy. Her mission: to scale the “empathy wall” and do what so few of us do: trulylisten to the other side in order to understand why they believe—and feel—the way they do. For most of the last century, popular and scholarly common sense has equated American evangelicalism with across-the-board social, economic, and political conservatism. However, if a growing chorus of evangelical leaders, media pundits, and religious scholars is to be believed, the era of uncontested evangelical conservatism is on the brink of collapse – if it hasn’t collapsed already. Combining vivid ethnographic storytelling and incisive theoretical analysis, New Monasticism and the Transformation of American Evangelicalism introduces readers to the fascinating and unexplored terrain of neo-monastic evangelicalism. Often located in disadvantaged urban neighborhoods, new monastic communities pursue religiously inspired visions of racial, social, and economic justice-alongside personal spiritual transformation-through diverse and creative expressions of radical community. In this account, Wes Markofski has immersed himself in the paradoxical world of evangelical neo-monasticism, focusing on the Urban Monastery-an influential neo-monastic community located in a gritty, racially diverse neighborhood in a major Midwestern American city. The resulting account of the way in which this movement reflects and is contributing to the transformation of American evangelicalism challenges entrenched stereotypes and calls attention to the dynamic diversity of religious and political points of view which vie for supremacy in the American evangelical subculture. New Monasticism and the Transformation of American Evangelicalism is the first sociological analysis of new monastic evangelicalism and the first major work to theorize the growing theological and political diversity within twenty-first-century American evangelicalism. Woehrle, Lynne M. (ed.). 2014. Intersectionality and Social Change. Research in Social Movements, Conflict and Change Series, Vol 37. Emerald Group Publishing. This volume explores the question, what can the insights of intersectionality studies contribute to our quest to understand and analyze social movements, conflict and change? This collection of papers is part of a continued broadening and deepening of the theoretical contributions of intersectional analysis in understanding social structures and human practices. It lends an analytical eye to questions of how race, class, and gender shape strategy and experience in social change processes, but it also extends our view to include thinking about how analysis of age, religion, or sexual identity can influence the model. The papers contribute to our growing understanding of ways to use the social power analysis unique to the intersectional lens to offer new perspectives on well-researched questions such as group identity development in conflict, coalition organizing, and movement resonance. Through the intersectional lens questions that are often ignored and populations that are traditionally marginalized become the heart of the analysis. The final section of the volume introduces another theme by considering how surveillance and information sharing shape the complex relationship between democratic freedoms and hegemonic governmental systems. Woods, Dwayne and Barbara Wejnert, (eds.). 2014. The Many Faces of Populism: Current Perspectives. Research in Political Sociology Series, Vol 22. Emerald Group Publishing. Edited by Dwayne Woods (Purdue University) and Barbara Wejnert (University at Buffalo, SUNY), The Many Faces of Populism: Current Perspectives provides an argument for the unifying element of populism across its many guises. From Berlusconi’s personalization of politics and the Northern League’s antiimmigrant regionalist movement in Italy to the leftwing populism embodied by Hugo Chavez; as well as insurgent and antisystem movements and parties in places as different as the Netherlands, India, Norway, Thailand, Russia and the United States populism has been attributed to a variety of political and social structures. The objective of this edited volume is to provide an answer to the question ‘What is Populism?’. The unifying element across the different explorations of the phenomenon of populism is that there is a shared genus that allows for a typology of the different faces of populism and a demarcation of what is not a form of populism. Stone, Josh and Polly Rizova. 2014. Racial Conflict in Global Society. Polity Press. Despite global shifts in world power, racial conflict remains one of the major problems of contemporary social life. This concise and engaging book demonstrates the interplay between identity, power and conflict in the creation, persistence and transformation of patterns of race and ethnic relations across the globe. resolution and the quest for racial justice are evaluated from multiple perspectives. 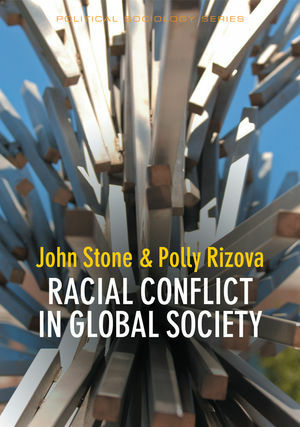 Racial Conflict in Global Society provides stimulating insights into the basic factors underlying racial conflict and consensus in the early decades of the twenty-first century. It is essential reading for scholars and students across the social and political sciences, management and international relations. Rohlinger, Deana. 2015. 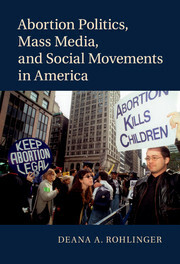 Abortion Politics, Mass Media, and Social Movements in America. Cambridge University Press. Weaving together analyses of archival material, news coverage, and interviews conducted with journalists from mainstream and partisan outlets as well as with activists across the political spectrum, Deana A. Rohlinger reimagines how activists use a variety of mediums, sometimes simultaneously, to agitate for – and against – legal abortion. Rohlinger’s in-depth portraits of four groups – the National Right to Life Committee, Planned Parenthood, the National Organization for Women, and Concerned Women for America – illuminates when groups use media and why they might choose to avoid media attention altogether. Rohlinger expertly reveals why some activist groups are more desperate than others to attract media attention and sheds light on what this means for policy making and legal abortion in the twenty-first century. Perrin, Andrew J. 2014. American Democracy: From Tocqueville to Town Halls to Twitter. Polity Press. In this groundbreaking book, sociologist Andrew Perrin shows that rules and institutions, while important, are not the core of democracy. Instead, as Alexis de Tocqueville showed in the early years of the American republic, democracy is first and foremost a matter of culture: the shared ideas, practices, and technologies that help individuals combine into publics and achieve representation. Reinterpreting democracy as culture reveals the ways the media, public opinion polling, and changing technologies shape democracy and citizenship. 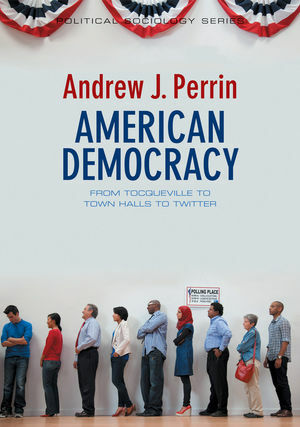 As Perrin shows, the founders of the United States produced a social, cultural, and legal environment fertile for democratic development and in the two centuries since, citizens and publics use that environment and shared culture to re-imagine and extend that democracy. American Democracy provides a fresh, innovative approach to democracy that will change the way readers understand their roles as citizens and participants. Never will you enter a voting booth or answer a poll again without realizing what a truly social act it is. This will be necessary reading for scholars, students, and the public seeking to understand the challenges and opportunities for democratic citizenship from Toqueville to town halls to Twitter. Keil, Thomas J. and Jacqueline M. Keil. 2014. 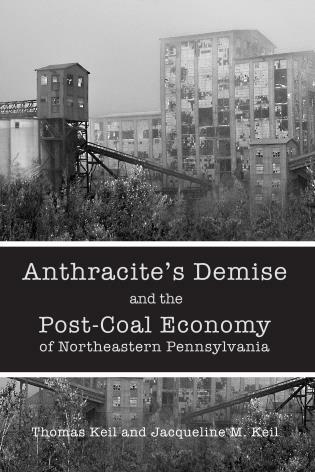 Anthracite’s Demise and the Post Coal Economy of Northeastern Pennsylvania.. Lehigh University Press. Examining the anthracite coal trade’s emergence and legacy in the five counties that constituted the core of the industry, the authors explain the split in the modes of production between entrepreneurial production and corporate production and the consequences of each for the two major anthracite regions. This book argues that the initial conditions in which the anthracite industry developed led to differences in the way workers organized and protested working conditions and the way in which the two regions were affected by the decline of the industry and two subsequent waves of deindustrialization. The authors examine the bourgeois class formation in the coal regions and its consequences for differential regional growth and urbanization. This is given context through their investigation of class conflict in the region and the struggle of workers to build a stable union that would represent their interests, as well as the struggles within the union that finally emerged as the dominant force (the United Mine Workers of America) between conservative business unionists and progressive forces. Loveman, Mara. 2014. National Colors: Racial Classification and the State in Latin America.. Oxford University Press. Through a comprehensive analysis of the politics and practice of official ethnoracial classification in the censuses of nineteen Latin American states across nearly two centuries, this book explains why most Latin American states classified their citizens by race on early national censuses, why they stopped the practice of official racial classification around mid-twentieth century, and why they reintroduced ethnoracial classification on national censuses at the dawn of the twenty-first century. Beyond domestic political struggles, the analysis reveals that the ways that Latin American states classified their populations from the mid-nineteenth century onward responded to changes in international criteria for how to construct a modern nation and promote national development. As prevailing international understandings of what made a political and cultural community a modern nation changed, so too did the ways that Latin American census officials depicted diversity within national populations. The way census officials described populations in official statistics, in turn, shaped how policymakers viewed national populations and informed their prescriptions for national development—with consequences that still reverberate in contemporary political struggles for recognition, rights, and redress for ethnoracially marginalized populations in today’s Latin America. Armaline, William T., Davita Silfen Glasberg, and Bandana Purkayastha. 2014. The Human Rights Enterprise: Political Sociology, State Power, and Social Movements.. Polity Press. Why do powerful states like the US, the UK, China, and Russia repeatedly fail to meet their international legal obligations as defined by human rights instruments? How does global capitalism affect states’ ability to implement human rights, particularly in the context of global recession, state austerity, perpetual war, and environmental crisis? How are political and civil rights undermined as part of moves to impose security and surveillance regimes? This book presents a framework for understanding human rights as a terrain of struggle over power between states, private interests, and organized, “bottom­up” social movements. 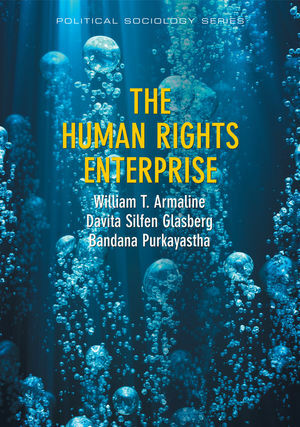 The authors develop a critical sociology of human rights, focusing on the concept of the human rights enterprise: the process through which rights are defined and realized. While states are designated arbiters of human rights according to human rights instruments, they do not exist in a vacuum. Political sociology helps us to understand how global neoliberalism and powerful non­governmental actors (particularly economic actors, such as corporations and financial institutions) deeply affect states’ ability and likelihood to enforce human rights standards. Levitsky, Sandra R.2014. Caring for Our Own. Oxford University Press. Caring for Our Own inverts an enduring question of social welfare politics. Rather than ask why the American state hasn’t responded to unmet social welfare needs by expanding social entitlements, this book asks: Why don’t American families view unmet social welfare needs as the basis for demands for new state entitlements? The answer, Levitsky argues, lies in a better understanding of how individuals imagine solutions to the social welfare problems they confront and what prevents new understandings of social welfare provision from developing into political demand for alternative social arrangements. Caring for Our Own considers the powerful ways in which existing social policies shape the political imagination, reinforcing longstanding values about family responsibility, subverting grievances grounded in notions of social responsibility, and in some rare cases, constructing new models of social provision that transcend existing ideological divisions in American social politics. Although the development of military conscription systems is usually seen as a response to countries’ security needs, and as reflection of national political ideologies like civic-republicanism, this study of conscription politics in France and the United States challenges such interpretations. On the basis of original archival research, and taking into account the major institutional and ideological differences of the two cases, the book shows how both countries implemented conscription systems shaped by concerns that military service would jeopardize men’s presumed positions as heads of families. Policymakers worried that conscripting ordinary family men for military service would affect their roles as breadwinners and figures of paternal authority. 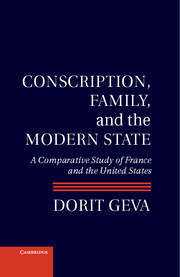 By tracing the institutionalization of widespread exemptions to husbands and fathers, the book argues that modern states acceded to paternal authority in institutionalizing conscription, so that men’s familial authority persisted as a source of competition to state authority. The book concludes by considering the extent to which familial authority continues to compete with contemporary state power. The first of its kind, this carefully researched book combines an ambitious range of scholarly traditions and offers an original comparison of how protection of men’s household authority affected one of the paradigmatic institutions of modern states. Swartz, David L. 2013. Symbolic Power, Politics, and Intellectuals: The Political Sociology of Pierre Bourdieu. University of Chicago Press. In Symbolic Power, Politics, and Intellectuals, David L. Swartz delves deeply into Bourdieu’s work to show how central—but often overlooked—power and politics are to an understanding of sociology. Arguing that power and politics stand at the core of Bourdieu’s sociology, Swartz illuminates Bourdieu’s political project for the social sciences, as well as Bourdieu’s own political activism, explaining how sociology is not just science but also a crucial form of political engagement.. This book is co-winner of the 2014 History of Sociology Section Distinguished Scholarly Publication Award. Leicht, Kevin T. & Scott T. Fitzgerald. 2014. 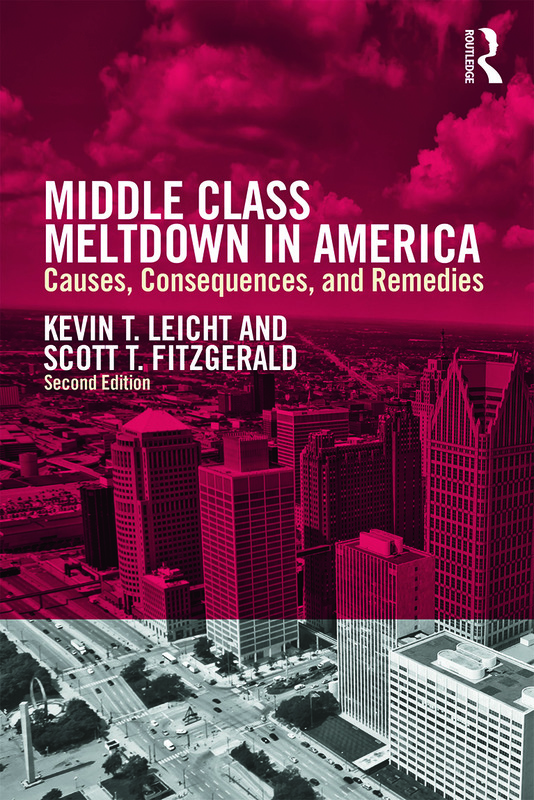 Middle Class Meltdown in America: Causes, Consequences, and Remedies. Routledge. In accessible prose, this short text provides a sociological understanding of the causes and consequences of growing middle class instability, with an abundance of supporting, empirical data. The book also addresses what we, as individuals and as a society, can do to put middle class Americans on a sounder footing. Designed to be used as supplemental text in courses on inequality, social problems, economic and political sociology, public policy and other related topics. More information and complimentary review copies are available upon request from Routledge or by emailing Margaret.Moore@taylorandfrancis.com. Wayne Baker. 2014. United America: The surprising truth about American values, American identity, and the 10 beliefs that a large majority of Americans hold dear. ReadTheSpirit Books. John L. Campbell & Ove K. Pedersen. 2014. The National Origins of Policy Ideas: Knowledge Regimes in the United States, France, Germany, and Denmark. Princeton, NJ: Princeton University Press. In politics, ideas matter. They provide the foundation for economic policymaking that in turn shapes what is possible in domestic and international politics. Yet until now, little attention has been paid to how these ideas are produced and disseminated, and how this process varies between countries. The National Origins of Policy Ideas provides the first comparative analysis of how “knowledge regimes”—communities of policy research organizations like think tanks, political party foundations, ad hoc commissions and state research offices, and the institutions that govern them—generate ideas and communicate them to policymakers. while others are cooperative and consensus oriented. They find that while knowledge regimes have adopted some common practices since the 1970s, tendencies toward convergence have been limited and outcomes have been heavily shaped by national contexts. comparative political economy in political science and sociology. Paul Burstein. 2014. 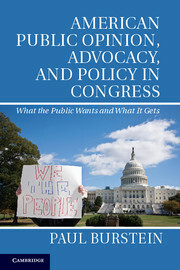 American Public Opinion, Advocacy, and Policy in Congress: What the Public Wants and What It Gets. Cambridge, UK: Cambridge University Press. Between one election and the next, members of Congress introduce thousands of bills. What determines which become law? Is it the public? Do we have government “of the people, by the people, for the people?” Or is it those who have the resources to organize and pressure government who get what they want? In the first study ever of a random sample of policy proposals, Burstein finds that the public can get what it wants – but mainly on the few issues that attract its attention. Does this mean organized interests get what they want? Not necessarily – on most issues there is so little political activity that it hardly matters. Politics may be less of a battle between the public and organized interests than a struggle for attention. American society is so much more complex than it was when the Constitution was written that we may need to reconsider what it means, in fact, to be a democracy. Cedric de Leon. 2013. Party and Society: Reconstructing a Sociology of Democratic Party Politics. Cambridge, UK: Polity Press. Political parties are central to democratic life, yet there is no standard definition to describe them or the role they occupy. “Voter-centered” theoretical approaches suggest that parties are the mere recipients of voter interests and loyalties. “Party-centered” approaches, by contrast, envision parties that polarize, democratize, or dominate society. In addition to offering isolated and competing notions of democratic politics, such approaches are also silent on the role of the state and are unable to account for organizations like Hamas, Hezbollah, and the African National Congress, which exhibit characteristics of parties, states, and social movements simultaneously. 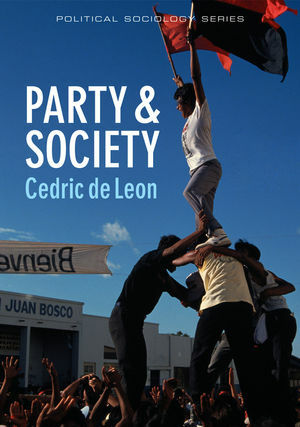 In this timely book, Cedric de Leon examines the ways in which social scientists and other observers have imagined the relationship between parties and society. He introduces and critiques the full range of approaches, using enlivening comparative examples from across the globe. Cutting through a vast body of research, de Leon offers a succinct and lively analysis that outlines the key thinking in the field, placing it in historical and contemporary context. The resulting book will appeal to students of sociology, political science, social psychology, and related fields. Pertti Alasuutari & Ali Qadir (Eds.). 2013. 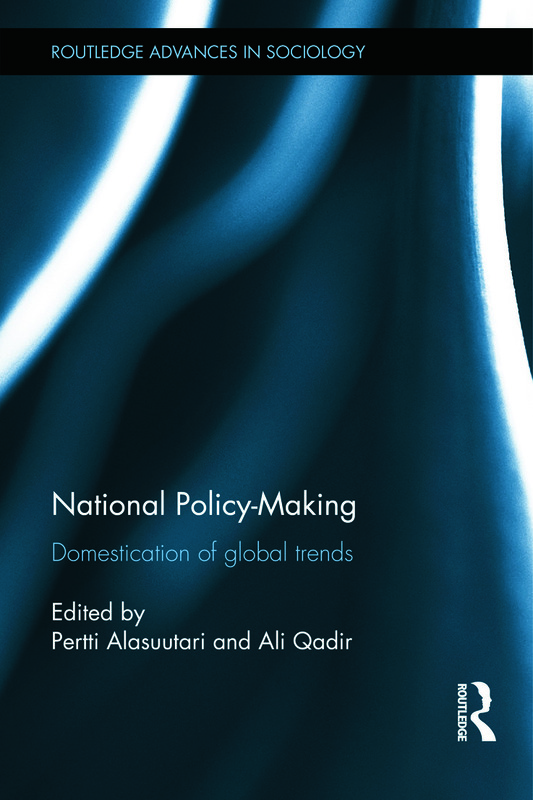 National Policy-Making: Domestication of Global Trends. Routledge. Notions of social change are often divided into local versus international. But what actually happens at the national level—where policies are ultimately made and implemented—when policy-making is interdependent worldwide? How do policy-makers take into account the prior choices of other countries? Far more research is needed on the process of interdependent decision-making in the world polity. National Policy-Making: domestication of global trends offers a unique set of hybrid cases that straddle these disciplinary and conceptual divides. The volume brings together well-researched case studies of policy-making from across the world that speak to practical issues but also challenge current theories of global influence in local policies. Distancing itself from approaches that conceive narrowly of policy transfer as a “one-way street” from powerful nations to weaker ones, this book argues instead for an understanding of national decision-making processes that emphasize cross-national comparisons and domestic field battles around the introduction of worldwide models. The case studies in this collection show how national policies appear to be synchronized globally yet are developed with distinct “national” flavors. Presenting new theoretical ideas and empirical cases, this book is aimed globally at scholars of political science, international relations, comparative public policy, and sociology. Thomas Janoski, David Luke and Christopher Oliver. 2014. 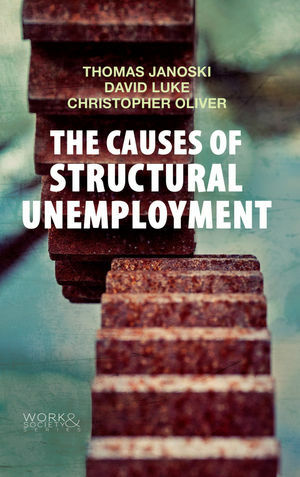 The Causes of Structural Unemployment. Cambridge, UK: Polity Press. There is a specter haunting advanced industrial countries: structural unemployment. Recent years have seen growing concern over declining jobs, and though corporate profits have picked up after the Great Recession of 2008, jobs have not. It is possible that “jobless recoveries” could become a permanent feature of Western economies. This illuminating book focuses on the employment futures of advanced industrial countries, providing readers with the sociological imagination to appreciate the bigger picture of where workers fit in the new international division of labor. The authors piece together a puzzle that reveals deep structural forces underlying unemployment: skills mismatches caused by a shift from manufacturing to service jobs; increased offshoring in search of lower wages; the rise of advanced communication and automated technologies; and the growing financialization of the global economy that aggravates all of these factors. Weaving together varied literatures and data, the authors also consider what actions and policy initiatives societies might take to alleviate these threats. Addressing a problem that should be front and center for political economists and policymakers, this book will be illuminating reading for students of the sociology of work, labor studies, inequality, and economic sociology. Thomas Janoski and Darina Lepadatu. 2013. Dominant Divisions of Labor. London: Palgrave-Macmillan. Pivot Series. The past century of production was dominated by Fordism and Taylorism, but how do we make sense of global production today? This book takes a panoramic view of the new theories of production: post-Fordism, flexible accumulation, McDonaldization, Waltonism, Nikeification, Gatesism and Siliconism, shareholder value, and lean production with Toyotism. The authors argue that lean production in a somewhat expanded version presents three variations: Toyotism (the full model), Nikeification (off-shored plants lacking teamwork) and Waltonism (the merchandising form that presses for off-shoring). While all three share strong elements of “just in time” inventory through supply chain management, they differ in how teamwork and long-term philosophies are valued. This critical review of dominant established theories shows how the contemporary division of labor is structured. The authors also preview the newly emerging “additive” or 3-D production process. This volume offers essays by expert demographers and political scientists advancing the new field of political demography. Essays examine the impact of aging in rich countries, the youth surge in developing countries, how age structure affects prospects for democracy, where changes in ethnic composition are causing shifts in party alignments in the U.S., the impact of differential fertility on democracy in Israel, the risks of ethnic civil wars in Africa; and how immigration is reshaping European religion and citizenship, among other topics. An ideal text for courses in political sociology seeking to show how various aspects of social structure are shaping political issues around the world. Mark S. Mizruchi. 2013. 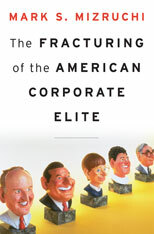 The Fracturing of the American Corporate Elite. Cambridge: Harvard University Press. Following World War II, American business leaders observed an ethic of civic responsibility and enlightened self-interest. Steering a course of moderation and pragmatism, they accepted the legitimacy of organized labor and federal regulation of the economy and offered support, sometimes actively, as Congress passed legislation to build the interstate highway system, reduce discrimination in hiring, and provide a safety net for the elderly and needy. In the 1970s, however, faced with inflation, foreign competition, and growing public criticism, corporate leaders became increasingly confrontational with labor and government. As they succeeded in taming their opponents, business leaders paradoxically undermined their ability to act collectively. The acquisition wave of the 1980s created further pressures to focus on shareholder value and short term gain rather than long-term problems facing their country. Today’s corporate elite is a fragmented, ineffectual group that is unwilling to tackle the big issues, despite unprecedented wealth and political clout. Mizruchi’s sobering assessment of the dissolution of America’s business class helps explain the polarization and gridlock that stifle U.S. politics. Simone Polillo. 2013. Conservatives versus Wildcats: A Sociology of Financial Conflict. Stanford, CA: Stanford University Press. For decades, the banking industry seemed to be a Swiss watch, quietly ticking along. But the recent financial crisis hints at the true nature of this sector. 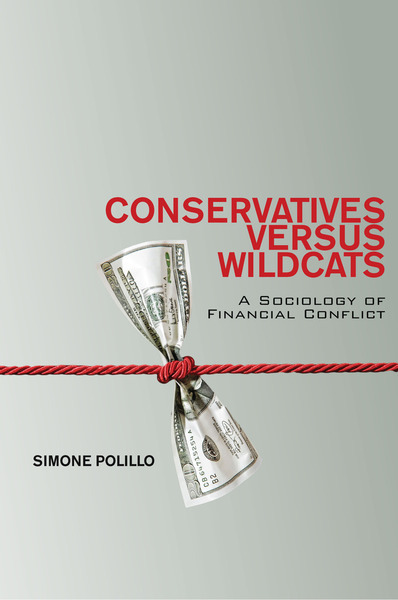 As Simone Polillo reveals in Conservatives Versus Wildcats, conflict is a driving force. Conservative bankers strive to control money by allying themselves with political elites to restrict access to credit. They create new financial instruments in order to consolidate and reproduce their wealth over time, turning money into an instrument of exclusion, and couching their practices in ideologies of sound banking. Barriers to credit, however, create social resistance, so rival bankers—wildcats—attempt to subvert the status quo by using money as a tool for breaking existing boundaries. For instance, wildcats may increase the circulation of existing currencies, incorporate new actors in financial markets, or produce altogether new financial instruments to create change. Using examples from the economic and social histories of 19th-century America and Italy, two decentralized polities where challenges to sound banking originated from above and below, this book reveals the collective tactics that conservative bankers devise to legitimize strict boundaries around credit—and the transgressive strategies that wildcat bankers employ in their challenge to this restrictive stance. Liliana Riga. 2012. The Bolsheviks and the Russian Empire. New York: Cambridge University Press. A comparative historical and political sociology of the Bolshevik revolutionaries, this book offers a reinterpretation of political radicalization in the last years of the Russian Empire. Finding that two-thirds of the Bolshevik leadership were ethnic minorities—Ukrainians, Latvians, Georgians, Jews, and others—it explores shared experiences of assimilation and socioethnic exclusion that underlay their class universalism. It suggests that imperial policies toward the Empire’s diversity radicalized class and ethnicity as intersectional experiences, creating an assimilated but excluded elite: lower-class Russians and middle-class minorities universalized particular exclusions as they disproportionately sustained the economic and political burdens of maintaining the multiethnic Russian Empire. 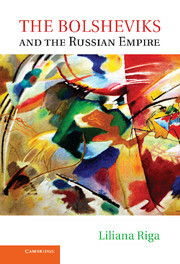 Political exclusions and quasi-assimilated social worlds enabled reinventions, as the Bolsheviks’ social identities and routes to revolutionary radicalism show how a class-universalist politics was appealing to those seeking secularism in response to religious tensions, a universalist politics where ethnic and geopolitical insecurities were exclusionary, and a tolerant “imperial” imaginary where Russification and illiberal repressions were most keenly felt.